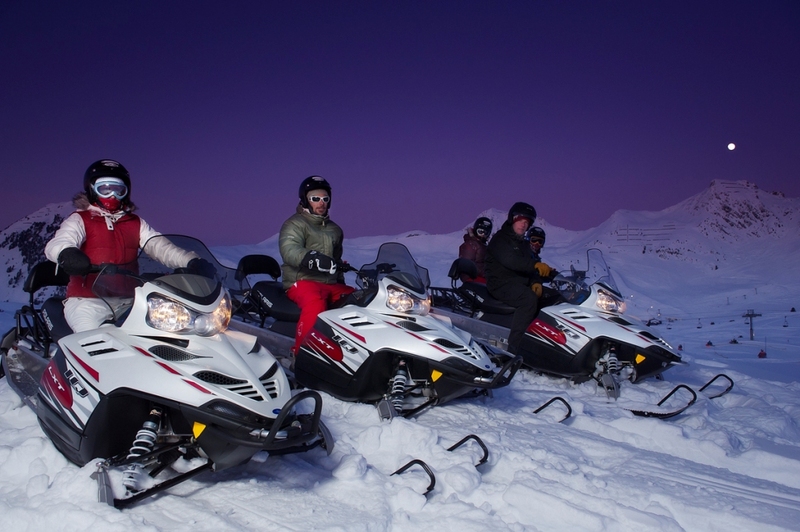 SNOW PANTHERS snowmobiling lets you have an unforgettable experience whether you are an expert or a beginner, driving high-quality and comfortable skidoo, under the supervision of experienced guides and safety measures. By coming on an excursion with friends, family, groups, seminars… we invite you to share our passion. 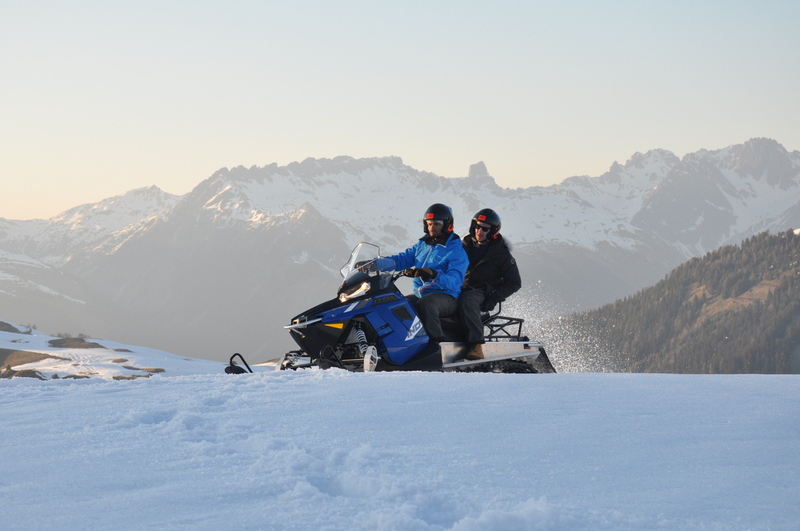 For Christmas, Birthdays... or just the pleasure of giving, a snowmobiling trip with SNOW PANTHERS is an original gift. - Departures every hours after closing slope: 17h30, 18h30, 19h30, 20h30. - Reservation compulsory for the Chalet SNOW PANTHERS, in Plagne Centre, on the snowfront (below the start of the Funiplagne gondola). - The departure is from Plagne Centre, on the snowfront, beside the Colorado chairlift (next to Funiplagne which joins the summit of Grande Rochette). - Be present 15 mn before the fixed hour. - The route is about 12 km, on the heights of the resort, with an exceptional view on the various resorts of La Plagne by night. - Warm clothes of ski, gloves, snow boot, ski googles. - We supply the helmet. - The group consists on 7 skidoo, with 13 persons maximum. - Material: NEW POLARIS 2017 model 550 cc - 2 places, with heated grip. 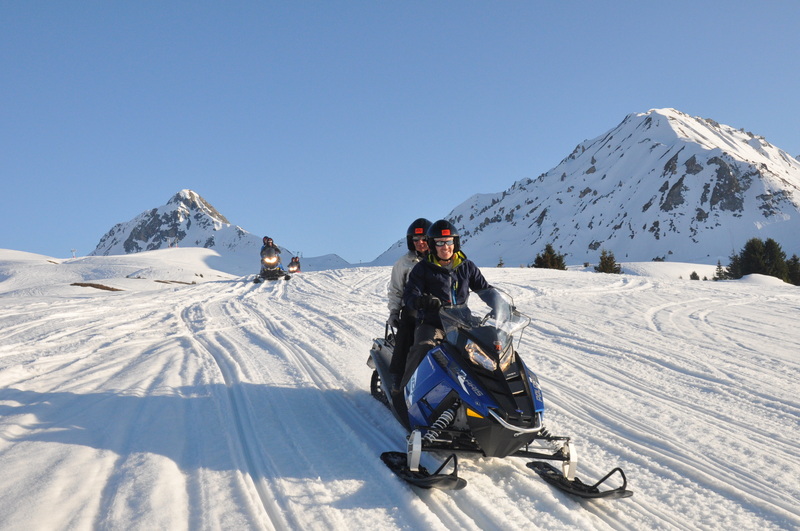 - Snowmobiling run for one or two persons: actually, you can take a passenger whith you on the 2-seats snowmobile. In this case, you have the possibility to swap places in the middle of your trip. 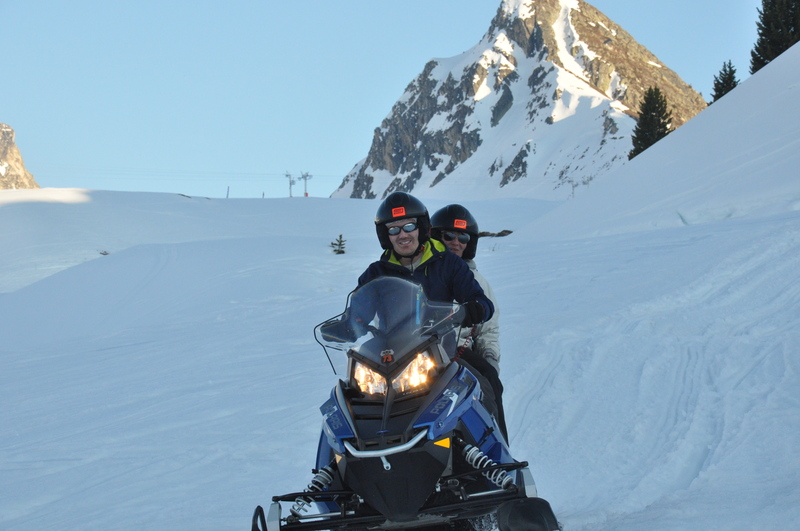 - Ride supervised by a Guide Professional, holder of the diploma of snowmobile. - The conception of the Skidoo assures a harmony completed with the environment. - Indeed, the contact of the Skidoo with the ground, being made only through the track, cant damages the slopes. - Furthermore, the oil is 100% biodegradable. - The noise engendered by the engine, respects the standards of the legislation. One price: from 95 €. Passenger behind the guide : 30€ for one hour. Solid, comfortable, log-built chalet, can accommodate from 6 to 28 people. The "Centaurée" section (105m²) for 6 people comprises 3 bedrooms, each with its own shower room. Solid, comfortable log-built chalet, can accommodate from 6 to 28 people. The "Edelweiss" part (180m²), for 14 people, comprises 7 bedrooms, each with its own shower room. Comfortable chalet, able to accommodate from 6 to 28 people, in the hamlet of 'Plangagnant' (altitude1,600m) on the La Plagne ski resort road. The ‘Flocons’ part of the chalet is an 80m² apartment for 8 people.